There are few better ways to save for retirement or grow your nest egg than property investment. However, investing isn't easy - it takes a lot of time and effort to succeed. It's essential that every investor keeps up to date with the market's performance. To make it easier and save you time researching, we've summed up the New Zealand property market's movements over February. Realestate.co.nz data shows that four out of five of the main regions recorded fewer or the same amount of new listings in February compared to January, except for Wellington which saw an increase of 6.9%. This indicates that there's a lot of new stock on the market in the capital right now, which could make it a good time to buy. The Central Otago Lakes region and the West Coast also saw increases in new listings of 11.8 per cent and 7.6 per cent, respectively. Auckland, on the other hand, had nearly 10 per cent fewer new listings in February compared to January, with other large drops recorded in Northland (-20.4%), the Hawkes Bay (-13.5%) and Wairarapa (-19.3%). The fastest growing property asking prices in the country are found in Gisborne, which saw a 6.7 per cent increase over February. Other small regions like Manawatu and Central North Island saw small increases of around 1.5 per cent, while Waikato's average asking price increased by 3.5 per cent. Auckland's asking prices also increased during this time but only by $233 dollars, indicating that the market in the city is still sluggish. Taranaki and Nelson were the only regions to show a considerable drop in asking prices, both falling by 5% and 7.5% respectively. Auckland's average asking price sat almost unchanged at $960,715 during February, while Queenstown's increased by 7.5%. This means the southern region now has the highest average asking price in the country of $1,010,021. 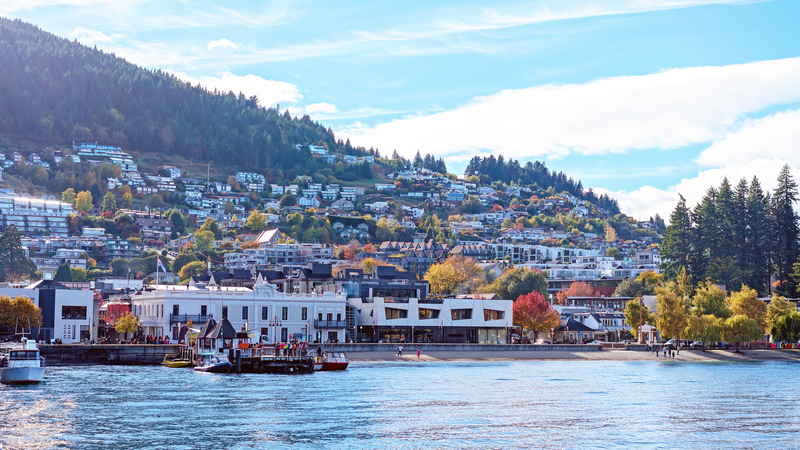 Despite some slow price growth around the country, realestate.co.nz data suggests that property sales are continuing at a stable rate in February 2019. The numbers point to a plateau in Auckland and strong growth in most other regions, particularly Dunedin, Wellington and Queenstown. Housing stock is also increasing in several areas of the country including Auckland which had 6.7 per cent more properties for sale in February than January. Housing is more scarce in areas such as Otago, Gisborne, Manawatu, Southland and the West Coast which all recorded significant drops over the month. If you're wondering where your property fits in the market the best way to find out is to get a market appraisal from a local real estate agent - you never know how much it's worth until you do! Get in touch with your local Professionals agent to get started.